The second largest state bank in Russia, VTB, has applied to link into the FATCA system, which records information about American depositors. This is currently illegal under Russian law, but new U.S. laws will penalize foreign banks that fail to do this. The second largest state bank in Russia, VTB, has applied to link into the FATCA system, which records information about American depositors. The bank’s decision contradicts the laws of Russia, as Russian bankers cannot provide data about their depositors to the tax authorities of other countries. However, unless the bank takes this step, all of its currency payments could fall under sanctions. 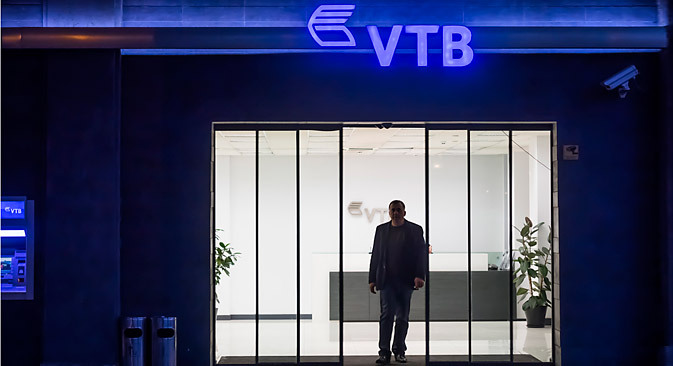 VTB has begun preliminary talks with the American regulator before the amendments have been fully adopted into Russian legislation, according to a report by Russian daily Izvestiya, citing Deputy President and Chairman of the VTB Management Board, Herbert Moos. As Anton Soroko, an analyst for the investment holding FINAM, explains, American law is directed at increasing the collection of taxes in the U.S., as it requires foreign banks to disclose information about the accounts of U.S. citizens to the American tax authorities. If a bank does not sign an agreement on this with the U.S. by 1 July, it will be brought under sanctions. The American authorities have said they will levy a 30 percent tax on any transactions passing through the banks supporting FATCA. According to Anton Soroko, if a Russian bank that does not enter FATCA enacts any payment from a corresponding account to an American bank, then the American bank will take a commission from this. In extreme cases, these taxes will be applied to all transactions with foreign currencies – principally in dollars. That is, in the future, all dollar payments by Russian banks could be fined. The American authorities have already signed agreements with 25 countries. However, such an agreement has not yet been reached with Russia. The difficulty lies in the fact that Russian banks cannot turn information about their clients over to the IRS. For this there would have to be a change in Russian legislation. “Formally, the VTB definitely has no right to do this ‘unification with FATCA’. Amendments to the law are needed,” says Ilya Balakirev, chief analyst at UFS IC. In fact, the Russian Ministry of Finance is already preparing the legislation which will make it possible for banks to transmit data on the accounts of American citizens to the Russian tax service. Such a scheme was developed as a result of Russian-American talks. However, the U.S. ended discussions on this topic in April 2014. It is possible that this is a case of unspoken sanctions against Russia. As a result, VTB decided to act independently without waiting for results. Other banks are in no hurry to follow VTB’s example. The other large state bank, Sberbank, is monitoring the results of government level negotiations between the Americans and Russians, the bank’s press service informed RBTH. Depending on these results, the largest bank in Russia will decide whether or not to file an application for acceding to the demands of FATCA independently. “All of the measures necessary for the implementation of the demands will be accomplished, taking into account the government’s position,” announced the bank. According to Mikhail Kuzmin, all of the largest banks in Russia will most likely succeed in concluding the necessary agreements with the IRS, and it will be possible to avoid significant problems in the international arena. In general, the U.S. is following the global trend for “deoffshorization” of the economy. American authorities earlier obtained access to data about the deposits of U.S. citizens in the Swiss bank UBS. And Cyprus has essentially lost its offshore status under pressure from the European Union powers. The Russian authorities have also announced a large-scale program for “deoffshorization” of the economy. “Analogous acts will be enacted in the future for the exchange of information between all of the major states of the world, and this will significantly reduce the popularity of offshores and help return capital to the jurisdiction of the source countries of these cash resources,” says Anton Soroko. The Ministry of Finance has already promised to accept the demands, forcing American banks to disclose information about Russian taxpayers.